Cow-calf margins will shrink as the U.S. beef cowherd expands, but producers can ensure future profitability by adjusting business plans for the supply increase. An upcoming free CattleFax webinar will address a 2016 outlook for the cow-calf segment and entire beef sector, while exploring continued cowherd expansion. One of the most aggressive U.S. beef cowherd expansions in the last four decades will increase beef supplies and pressure cow-calf profitability over the next several years. As profits narrow during that time, well-informed producers can maintain healthy margins by adjusting production, marketing and risk management plans with increasing supplies in mind. Expected returns of beef cows over their productive life and potential opportunities. DNA testing for all animals will now be included as part of the standard evaluations at the University of Tennessee Institute of Agriculture’s Bull Test Center. According to experts, DNA tests provide valuable information about young animals that could improve the accuracy of genetic predictions. With increased accuracy, cattle producers can make better breeding and management decisions and increase the value of their herds. Each year university researchers evaluate more than 100 yearling bulls at the Bull Test Center, located at the Middle Tennessee AgResearch and Education Center. They measure weight gain and frame size, test for reproductive soundness, and collect Expected Progeny Differences (EPDs), which are indicators of the genetic value of one bull compared to another bull of the same breed. Bulls that pass the test’s standards are sold at public auction. Researchers say the addition of DNA testing will greatly enhance the EPDs. This is good news for potential buyers who will now have more precise information about the genetics available at the sales. The DNA testing also qualifies each bull for an extra cost share from the Tennessee Ag Enhancement Program. More than 150 bulls are currently entered in the performance test. They can be observed at the upcoming Bull Test Open House on Thursday, December 10. The open house begins at 9:30 a.m. CST with an educational program that includes a discussion of designing genetics and selection for feedstock and commercial cattlemen. Additional presentations will also cover bull fertility and replacement heifer programs. The Open House will conclude with a complementary lunch. For more information, including directions to the Middle Tennessee Center, visithttps://ag.tennessee.edu/AnimalScience/Pages/BullTestProgram.aspx or call 931-486-2129. The Senior Bull Test sale is scheduled for January 21, 2016. The Junior Bull Test Sale will take place on March 10, 2016. Featured breeds include Angus, Hereford, SimAngus and Simmental. The UT Bull Test Program is a cooperative effort between UT Extension, UT AgResearch, the UT College of Veterinary Medicine and the Tennessee Beef Cattle Improvement Association. The National Cattlemen’s Beef Association’s Cattlemen’s College series will kick-off its 23rd year Jan. 26-27, 2016 in San Diego, Calif. Widely hailed as the premier educational event in the cattle industry, this series, sponsored by Zoetis, will feature speakers and live animal demonstrations that give cattlemen and women the tools to connect, learn and innovate. Cattlemen’s College will start off on Jan. 26, with an opportunity to listen to and question five of the most influential and dynamic experts in the beef industry through the session “Whole Herd Makeover: Cowboy Style.” Industry experts will include Dr. Dave Daley, Don Schiefelbein, Patsy Houghton and Tom Brink, with Dr. Tom Field moderating. Topics will range from expanding your cowherd with a vision, to genetics and animal health. This session will also feature live cattle demonstrations as these topics are explored in-depth. The day will conclude with a California Fresh Reception, showing off the bounty of California’s agricultural products and produce, sponsored by Zoetis. Jan. 27 will start with a general session hosted by Dr. Robert Fraley, Executive Vice President and Chief Technology Officer for Monsanto, who believes the challenge to feed a growing world population will take collaboration and a greater focus on maximizing the use of resources. Dr. Fraley will share his outlook and thoughts on how agriculture will meet those goals. Following the general session and throughout the morning, attendees will have a choice of five key topic areas for hour-long breakout sessions. These breakouts will focus on cattle health, nutrition, hot industry topics, business development, production and how to seize future opportunities. During lunch, attendees will have another chance to follow up with the day’s speakers and ask questions. Early registration for Cattlemen’s College ends Jan. 4, 2016. Registration includes all Cattlemen’s College sessions and the reception. A complete schedule and registration information are available online at www.beefusa.org. 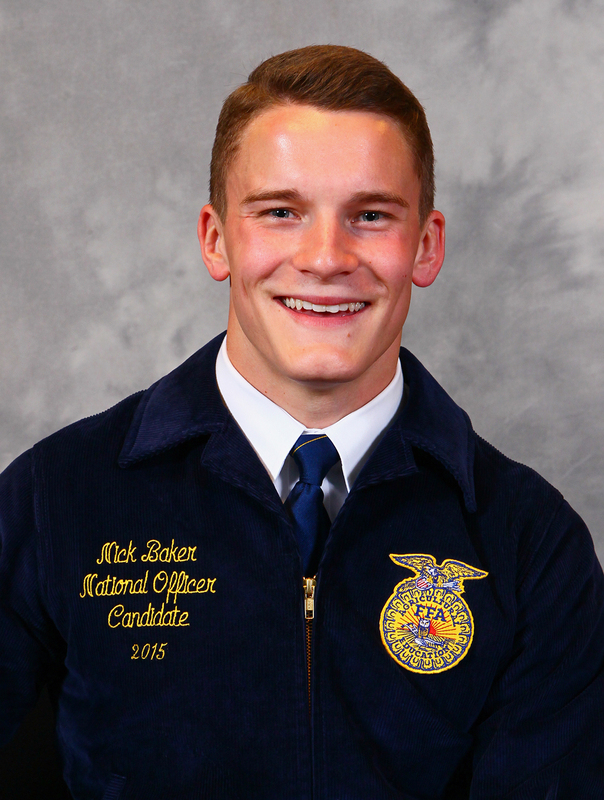 Nick Baker of the Baxter Future Farmers of America (FFA) Chapter at Upperman High School was elected Secretary for the National FFA Organization during the National FFA Convention held recently in Louisville. A mere six FFA members are chosen annually from among more than 629,000 members nationally to serve as officers for the organization. Delegates elect a president, secretary and vice presidents representing the central, southern, eastern, and western regions of the country. National officers commit to a year of service to the National FFA Organization. Each travels more than 100,000 national and international miles to interact with business and industry leaders, thousands of FFA members and teachers, corporate sponsors, government and education officials, state FFA leaders, the general public, and more. During the convention, more than 65,000 FFA members from across the country gathered in Louisville to compete in various Career Development Events ranging from prepared public speaking to dairy cattle judging, attend leadership workshops, and attend general sessions. The convention was aired live on RFDTV. Baker becomes the 14th National FFA Officer from Tennessee in the organization’s 88 year history. He is the third consecutive Tennessean to be elected carrying on a recent streak of success for the Volunteer State. In fact, in the past seven years Tennessee has seen five of its candidates elected. Among those recently elected is Mitch Baker, Nick’s elder brother, who served as Secretary in 2013-14. Nick is the son of Phillip and Chris Baker of Cookeville. He is a 2014 Upperman High School graduate and is a sophomore at the University of Tennessee at Knoxville studying agriculture. FFA makes a positive difference in the lives of students by developing their potential for premier leadership, personal growth, and career success through agricultural education. Nationally, there are 629,367 FFA members, aged 12-21. The Tennessee FFA Association is comprised of more than 14,000 members from 214 high school chapters, 7 middle school chapters, and 8 collegiate chapters. To learn more about FFA visit www.tnffa.org. 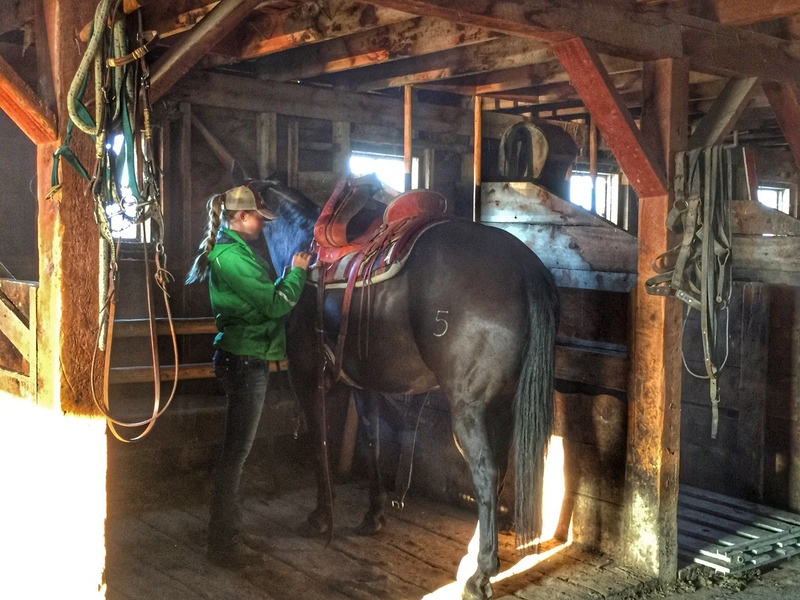 Have you ever imagined testing your cowboy skills out on a real working ranch? Here is an amazing opportunity to intern in Montana at Sitz Angus Ranch. 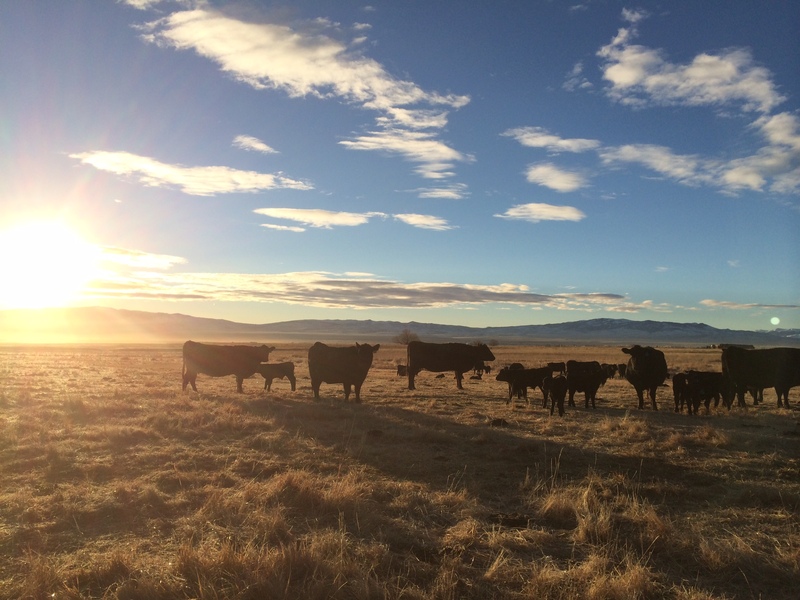 This coming 2016 Summer Ranch Internship will provide an opportunity to work with this progressive livestock operation at multiple ranches in Southwest Montana. This position requires a willingness to work with other ranch interns and managers in a complete unit. Long term interest in ranch management is preferred. This paid internship is an excellent opportunity for students to receive hands-on training in ranching and ranch management. Housing and utilities are provided. Applicants must be currently enrolled as a student at a college or university to be considered. Interns may be involved with feedlot/yard operations, backgrounding, heifer development, maternal herd management, terminal herd management, and summer calving herd management. Interns may also assist with electronic identification, artificial insemination and records management. All interns will receive an introduction to range management and ranch financial management. In addition, the intern will be expected to do seasonal tasks, such as pivot irrigating and meadow haying operations in the summer. Assume other duties as assigned. This coming Summer 2016 Farm Internship will provide an opportunity to work with this progressive agricultural operation. This position requires a willingness to work with other interns and managers in a complete unit. Long-term interest in farm or ranch management is preferred. This paid internship is an excellent opportunity for students to receive hands-on training in farming and farm management. Housing and utilities are provided for this internship opportunity in Southwest Montana. Applicants must be currently enrolled as a student at a college or university to be considered. Interns may be involved with seasonal tasks, including planting, cultivating, pivot irrigation, and haying operations. Interns may also get exposure to crop scouting. All interns will receive an introduction to farm management and farm financial management. Assume other duties as assigned. Email resume and cover letter or questions to Karoline Rose by December 15, 2015 at sitzsngusinternship@gmail.com or 406-577-6310. For more details on Sitz Angus, please visit their Facebook page and/or website. Agriculture continues to rank as one of Tennessee’s most productive industries. Tennessee’s agriculture and forest products account for approximately 21 percent of the state’s economy and generate more than $71 billion in total economic activity. Less than 2% of our nation’s population are involved in raising our country’s food and fiber. One American farmer now raises enough food and fiber for 155 people. With an increasingly urban population and with fewer people raised on farms and ranches, the majority of today’s consumers do not know how their food is raised and processed. “It is up to those involved in agriculture to share the story of how we are raising the animals and crops that feed and clothe our country”, states Lou Nave, executive director of the Farm Animal Care Coalition of Tennessee. 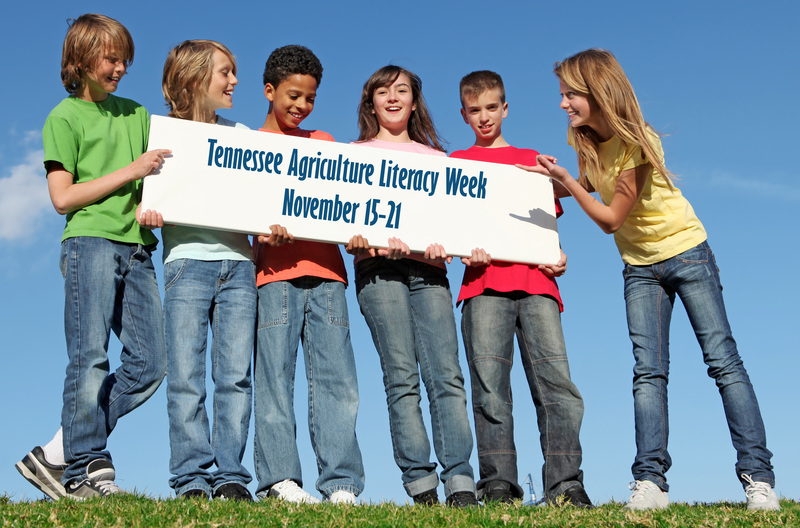 Tennessee farmers and ranchers are encouraged to share their stories and agriculture knowledge with school students during Tennessee Agriculture Literacy Week, November 15 -21, 2015. “Tennessee Agriculture Literacy Week is a great opportunity for farmers and ranchers to visit local schools, read accurate agriculture books and interact with students and teachers,” continued Nave. Tennessee Agriculture Literacy Week will allow everyone involved in agriculture to focus attention toward our vibrant industry through literacy promotions in local school systems. Farmers, ranchers FFA and 4-H members, and others involved in agriculture are encouraged to contact local school systems and schedule a visit to read agriculturally themed books to school students. Many segments of Tennessee’s agriculture industry have strong literacy outreach programs. Tennessee Agriculture Literacy Week should enhance and support those efforts while providing guidance and opportunities for new and innovative agriculture literacy programs. A Tennessee Agriculture Literacy Week guide including appropriate books, useful support material and useful steps for success has been created. These resources are available at http://www.TennesseeAg.org. To capitalize on this concerted effort, Tennessee Agriculture Literacy Week activities should be completed by November 25, 2015. Volunteers should complete a basic feedback form after each school visit (available at http://www.TennesseeAg.org). If you have any questions, please contact Lou Nave at Farm Animal Care Tennessee’s Coalition of Tennessee: (615) 970-8065.